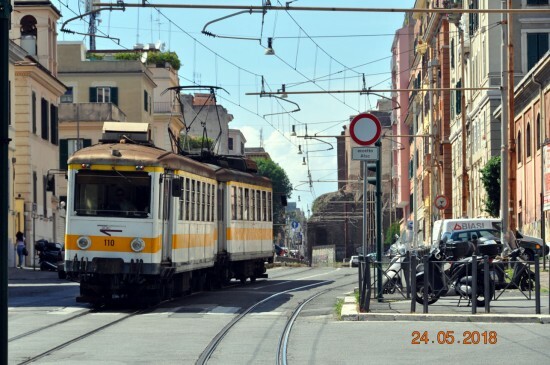 This week we stay in Rome for another image taken on the Giardinetti Railway. This time around we see 110 on the approach to Porta Maggiore. This unit is also one of the Stefer built vehicles used to operate the vast majority of services on the 3.4 mile line. The historic surroundings of Rome once again provide the backdrop for this image taken on 24th May 2018. Just for the sake of accuracy: it’s ‘Giardinetti’, not ‘Giradinetti’.